I hop on planes a lot because life is hard. I don’t mean that I jet off to Cancun or Bermuda to recuperate from the burdens of the daily grind. What I mean is that I often go to far-off places that can teach me how to better endure the things in life I find most unendurable. 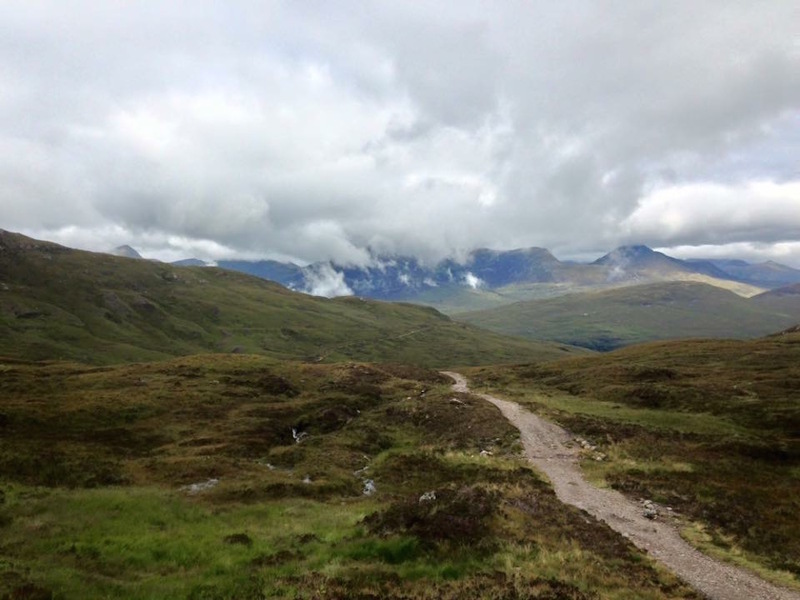 Last week, my wife and I walked 102 tough miles in eight days in the lush, rain-soaked Scottish Highlands. There’s nothing quite like an eight-hour hike in the pouring rain to get you thinking about why you travel and where you do it. Maybe it was the blisters, the knee brace, and the roll of tape wrapped around my left knee, but some bleak mornings I just wanted to say to hell with Scotland. It rained six out of the eight days. And even when it was “dry,” the perennial gray skies seeped into my body, mind, and spirit. While I was supposed to be communing with the open wilderness, I felt hemmed in and constrained by the heavens. By the end of day five, I felt downright miserable. But then I received a late night text from a good friend back home in Los Angeles that helped me realize not only why I was there, but what it is I love most about traveling. In a landscape of so much hopelessness, the legacy of an oppressive dictator, and a morally corrupt ideology, these were the things that struck me most: the power of love and a people’s sheer ferocity in the face of complete tragedy. Although I’m scheduled to fly upwards of 100,000 miles this year, I don’t call myself a traveler. I get tongue-tied whenever I’m asked the inevitable “business or pleasure?” question. I mean, what am I supposed to say? Both? Neither? Must I choose? Is life itself “business” or “pleasure”? In his odd little essay, “Walking,” Henry David Thoreau explains the origins of the term sauntering. The word is derived “from idle people who roved around the country, in the Middle Ages, and asked charity, under the pretense of going à la Sainte Terre,” to the Holy Land. Sensing their duplicity, children would then exclaim, “There goes a Sainte-Terrer,” a saunterer, a Holy-Lander. That is how I view the term “traveler” and the many people these days who blithely say they “love to travel”—mere saunterers. And particularly after last week’s rain-soaked musings, I’ve come to think that travel should be more purposeful than that. I’m partial to places that may seem godforsaken, places where residents have to grapple with human deprivation, isolation, and darkness. I’m deeply curious as to how people manage to survive the slings and arrows of life. Sure, I can enjoy Paris as much as the next guy. There is no denying its beauty. But the City of Lights also sometimes seems like an Impressionist still life that calls me to ponder life’s perfections and delicacies rather than its struggles. One of my most rewarding trips ever was the three weeks in 1997 I spent traveling around Romania. I wanted to know how Romanians were managing to move beyond the material and spiritual deprivations of the Communist era. A man I met on a train took me into the sewers of Bucharest to introduce me to a group of children who lived there, and a saintly nun from Arizona took me on her regular visit to an orphanage for children with congenital deformities. In a landscape of so much hopelessness, the legacy of an oppressive dictator, and a morally corrupt ideology, these were the things that struck me most: the power of love and a people’s sheer ferocity in the face of complete tragedy. And that is what the best travel is to me, the opportunity to strip life to its essentials, not in order to go beyond the culture in which I live, but to remind myself of what culture is for in the first place: to help us survive life’s travails and keep us going. And it certainly helps to put my own bourgeois “travails” in perspective. A dozen years ago, during the Second Intifada, the Israeli Foreign Ministry invited me to their country and asked me what I wanted to learn. I told them that I wouldn’t speak to politicians or soldiers and that my only interest was how the average Israeli citizen survived the daily stress of terror. I interviewed artists, playwrights, social workers, and psychologists. On that trip, I learned the power of denial and adrenaline. My favorite cities in Europe are Berlin and Dresden, where, like in Bucharest, one is obliged to grapple with the evils of the not so distant past. A decade or so ago, I spent Christmas Eve alone in a hotel room in a snow-bound and empty Dresden as a way to redefine the holiday away from the trappings of family and tradition and towards more fundamental concepts. Like peace and goodwill. De Botton’s exhortation explains why I’m drawn to godforsaken places. The ongoing complaints of my psyche only make sense, and can be put into proper perspective, far, far away from my bedroom. Indeed, sometimes it helps to go to the most remote inhabited island on earth, as I did several years ago when I took a six-week trip to Tristan da Cunha. I hopped on a plane to Cape Town and then hitched a ride on a research vessel for six days before I reached the British-ruled volcanic speck of an island in the South Atlantic. Though my ostensible goal there was to learn about the effects of inbreeding on asthma, what I was forced to study firsthand, in an isolated village of fewer than 300 blood-related souls, were the ways humans try to control each other to protect themselves from one another and from the outside world. There I learned the power of kinship and of harboring a collective disdain for “the others.” Well, before the six weeks were up, the disdain was mutual and I was ready to go home. Which brings me back to my bleakest days in Scotland. Although the culmination of a life-renewing weight loss effort, the 100-mile walk was no small undertaking for me, a chronic asthmatic whose lungs generally don’t respond well to humidity, or to nature, for that matter. But then came that text message from my friend on the night of day five. “What an achievement,” she wrote. “It’s like you’re walking into a new life. Going through a Scottish birth canal. Only through misery do you find purpose and clarity.” And there it was, I was suffering both physically and mentally because I was being reborn into a healthier and physically more disciplined life. The idea of death is implicit in that of rebirth. With each step and heavy breath through the Scottish Highlands, I was actively discarding the years of disappointment, anger, and sadness that led to my putting on so much weight. Walking through Scotland, it turns out, was a way for me to actively grapple with my own darkness. I assure you that the trek was neither business nor pleasure. I can say, however, that it was exactly what I love about traveling.